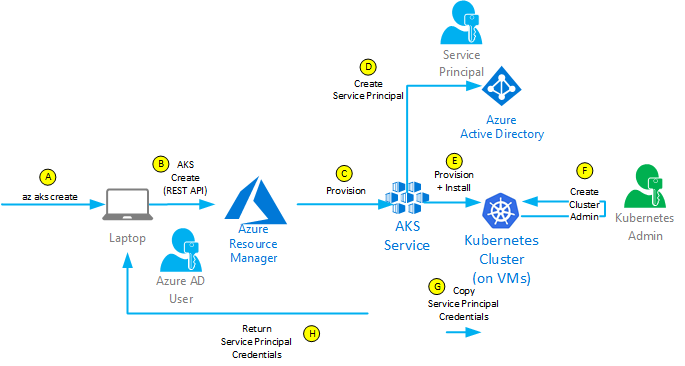 We’ve recently looked at Azure AKS (Kubernetes Cluster Managed Services). We’ve looked at how to create a Kubernetes Cluster with 3 lines of Azure CLI. With this we are able to interact with the cluster & deploy containers. There is a bit of “auto magic” happening in there. In this article we will focus on that magic. Specifically, we’ll focus on identity. The first bit of magic is how do we connect to the cluster? At no point have we logged in on the cluster. 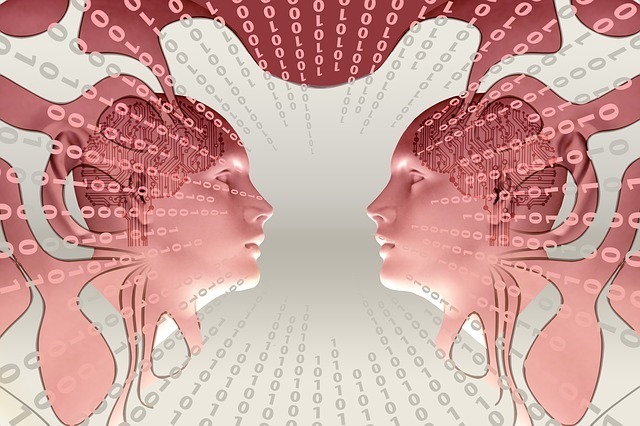 When we interact with the cluster, we use kubectl. That is a Kubernetes tool, not an Azure tool. Can that tool use our Azure AD credentials? Those tasks do create Azure resources: they create Public IPs and Azure Disks. A question we could ask is “who is creating those resources”? Which Azure AD user is creating the Azure resources? Is it our own personal account? We’re the one behind the keyboard and we’re logged into Azure CLI. But this isn’t Azure CLI, it’s the Kubernetes AKS Cluster, from within Azure. A caveat from the get go, Azure RBAC integration is coming to AKS. Juan Manuel Rey give a sneak peak of how it might look here. As of this writing (end of April 2018), it isn’t implemented. The first line creates the cluster. The second installs kubectl (Kubernetes client controller). The third one configures kubectl to connect to the cluster. Only step 1 & step 3 involves identity. Step 2 litterally is only an install of kubectl tool. Step #4 deals with the cluster only. Step #5 creates objects on the cluster. But it also integrates with Azure to create an Azure Disk and attaching it to a VM in the cluster. So let’s look at the entire workflow focussing on the identity. 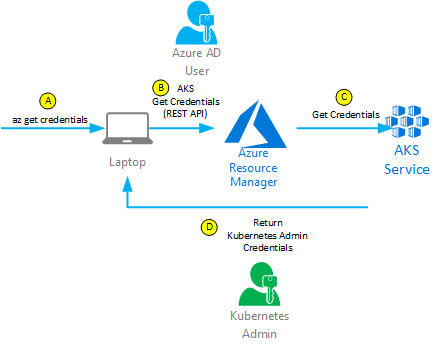 Azure Resource Manager provisions an AKS Service. That service will orchestrate different sub resources creation. When Kubernetes is created (on the master nodes not shown on this diagram), it creates a cluster admin. That cluster admin is a Kubernetes user and doesn’t belong to Azure AD. REST API returns the Service Principal credentials. They are written locally on ~/.azure/aksServicePrincipal.json. That file gets overwritten every time, i.e. it doesn’t accumulate credentials. 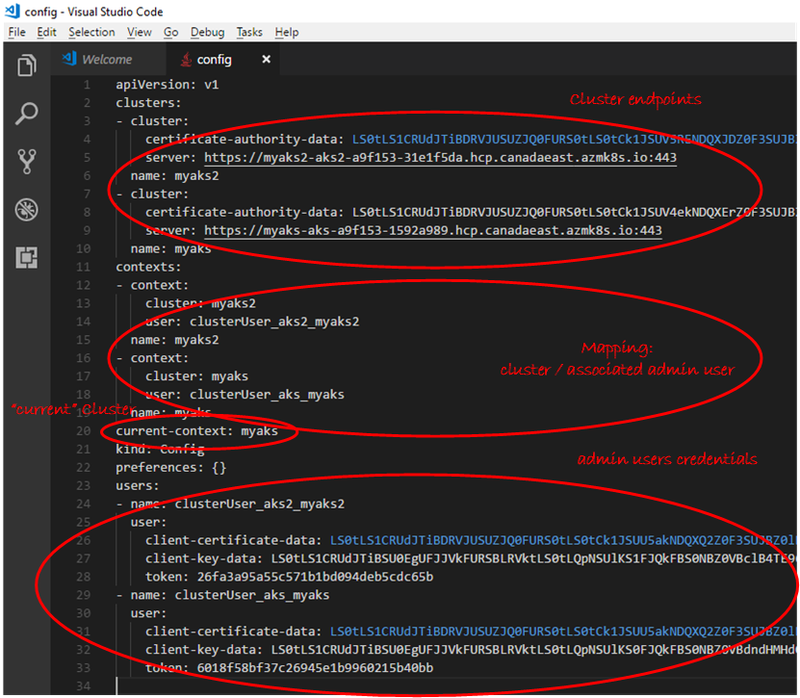 The Azure AD User identity: this is the user running Azure REST API commands. In automation context, that could also be a service principal. The Kubernetes admin user: a non-Azure AD user. This is the identity that will later run kubectl commands. An important point here. The Azure AD user must have the right to create service principals. If not, creation will fail. To our knowledge, nothing happens at the identity level with that command. It installs a version of kubectl CLI compatible with Azure. locally (e.g. on end user laptop). Path is ~/.kube/config. Let’s assume we deploy some containers on a replica set without creating Azure resources. This step illustrate the typical interaction with Kubernetes cluster. It could be a simple read operations (e.g. kubectl get pods). We see kubectl commands use credentials gathered in previous step. Let’s assume we do another deployment with kubectl create. This time, one of the underlying pod will provision an Azure disk. This shows how Kubernetes integrates back to Azure. Kubernetes calls Azure Resource Manager to provision an Azure Disk. It uses Service Principal credentials. We unveiled the magic behind the scenes. That path is the quickest to get value out of Azure AKS but in production scenarios, we might want more control. For instance, we might want to create the Azure AD Service Principal beforehand. The procedure to do that is well explained in online documentation. We did drill down in the different identities involved in different AKS scenarios. That knowledge isn’t required to start using AKS. It does become useful when considering operationalizing the service though.